Q - How do I setup Family Sharing? How do I setup Family Sharing? 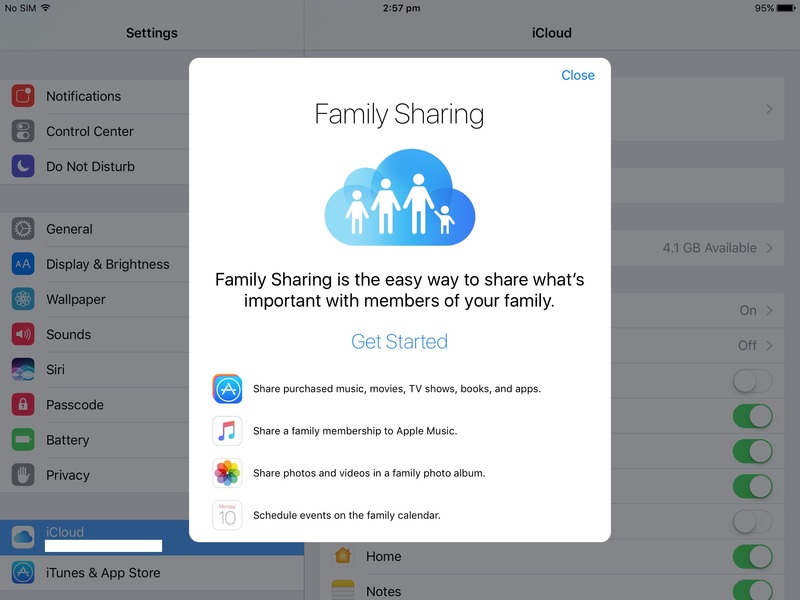 Share purchases from iTunes, iBooks and App Store without needing to share accounts. Pay for purchases with the same Debit or Credit Card and approve purchase requests made by children using a parent's device via the "Ask to Buy" feature. Share your device's location with other family members. Decide which parent or guardian the Organiser will be. The Organiser creates the Family Sharing group, then invites up to five additional family members. The Organiser is responsible for adding a Debit or Credit Card as the shared payment method, as well as approving "Ask to Buy" requests from children. 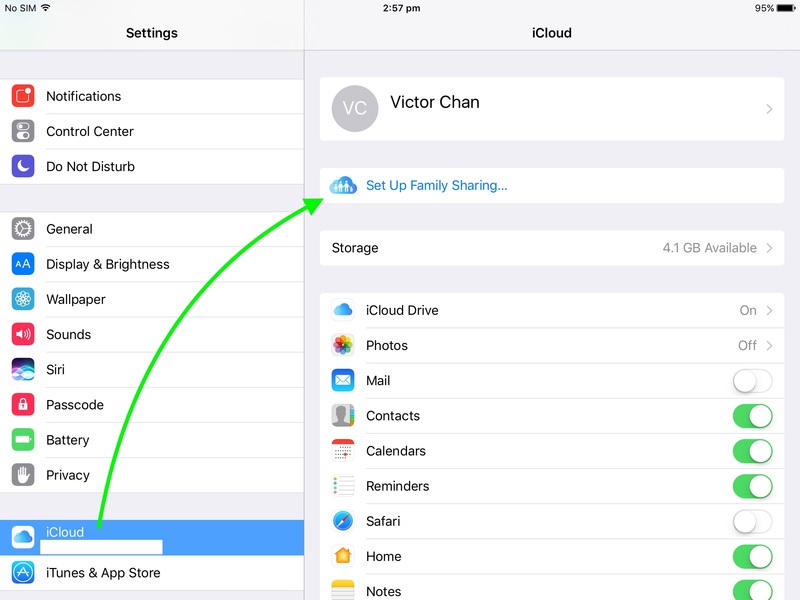 On the Organiser's device, open the Settings application, tap iCloud > Set Up Family Sharing. For more details on the process, refer to the Apple links below.